Dark Promise: review and character interview | What YA Reading? First things first: I want to thank TBG Tours for including me in this one. I am seriously loving these things. I mean, reading free books and swapping witty comments with their characters? If paradise isn’t the word, then I don’t know what is. Now, I know exactly what you’ve been thinking since seeing Dark Promise‘s cover: Faeries. Spelled with an ‘e’, no less. Haven’t we been through this already? Haven’t we already familiarized ourselves with this supernatural element? Haven’t we already seen all there is to see when it comes to these winged beasts? To answer your questions: yes. You’re right in every way of the word. Miss Crane and Miss Jager don’t actually have very much to add to the already abundantly overwrought YA faery world. I don’t think that there is much to add to it. Since that flying trend a while back, everything else faery is just more of the same. What’s important to grasp here is that that’s okay. So you’ve seen all that faery jazz, so what? There’s a reason the fay became popular in the first place. And, hey, I’d take faeries any day over stalker-eyed mermaids. Besides, Dark Promise‘s supernatural realm involves gloomy castles, magical gardens, mysterious artwork, and– this is the fun part– one love-triangle-initiator who just happens to be tall, dark and handsome. Oh, and did I mention that this guy’s father kidnapped Rylie in adherence to his super evil plan? Oh, wait! This isn’t mutual attraction, this is Stockholm Syndrome! But apart from that whole kidnappee-falls-for-kidnapper thing (otherwise known as a certifiable psychological affliction) and some minor characterization issues, I really did enjoy Dark Promise. It was a completely escapist no-brainer read, and everybody needs one of those once in a while. I’m giving it a sturdy 3.0/5 stars. This one is for the people who don’t automatically roll their eyes when they see “faery” spelled with the ‘e’. But here I am talking about letters when I could be talking to our protagonist of the hour. On to my interview with Rylie herself! ANA: Okay, let’s start with the basics. What’s your favourite subject? RYLIE: I’m really not a fan of school, but if I had to choose I guess it would be web design. I like things to be neat and orderly, and when you are coding a site you have control of the outcome. ANA: Ah, a neat freak. Completely understandable. So, I’m guessing that you’re not a pleasure reader, per se, but out of all of the YA books that you’ve read, which is your favourite? RYLIE: Don’t judge me, but I’m a huge Twilight fan. I feel really bad for Robert Pattinson. I can’t believe Kristen would cheat on him with that gross older man. I’m hoping they get back together. ANA: I hold no disrespect for Twi-hards, but I will say that I never would have guessed that you’re one of them. On other things I don’t know about you, what’s your personal motto? RYLIE: Don’t follow the beaten path. Go your own way and leave a trail. ANA: Do you have any idea about your career after high school? A web designer, maybe? RYLIE: I guess it depends on if I have to marry Kallan or go off to college with Adam. I have no idea what I want to be when I grow up. I guess I should start thinking about that. ANA: Speaking of your future, I’m sure that you’d want it to involve Adam, your lovely boyfriend. I know that you two have been BFFs forever, but tell me: how did he ask you out? RYLIE: It was really sweet. After Adam won an important baseball game, he said the only thing that could make the day any better was if I would be his girlfriend. At first I thought he was joking, because we had been friends for so long. I didn’t think he thought of me that way. But when his lips touched mine, I knew it wasn’t a joke. We’ve been attached at the hip ever since. He really is a great boyfriend. ANA: Sounds romantic, too. Well, Adam definitely passed the boyfriend test. Moving on, the colour of a faery’s wings must mean something. Why do you think that your wings are pink and purple? RYLIE: That is a great question, and one I do not have the answer to. I’ll have to ask Azura next time I see her. 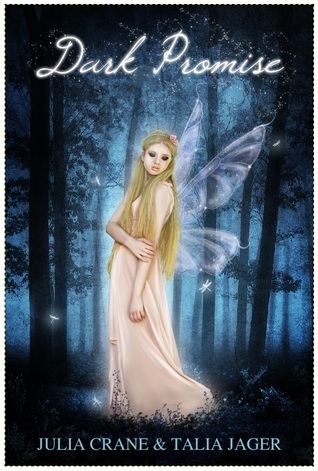 It does seem like light faeries have pastel colours and dark faeries have darker coloured wings. ANA: Although your faery name is Oleander, you prefer to go by Rylie. Do you have anything against flowering bushes that come in a multitude of colours? RYLIE: I really hated the name Oleander at first, but it’s starting to grow on me. Just don’t tell Azura or my mom. I’m trying to accept my heritage—it’s not easy. ANA: No, I don’t imagine that it would be. Oleander does have a sort of ring to it, though, so you’re lucky in that sense. After all of the misadventures with your name and other obstacles in the faery realm, how is going back to your ‘normal’ life working out for you? RYLIE: It has been strange going back to the human realm and knowing that another world exists so close by under our noses. I shouldn’t admit this, but I miss Kallan. ANA: Ooh, my daily gossip quota has officially been filled. Thank you for that juicy little tidbit. Finally, do you have any clue as to what the future holds? 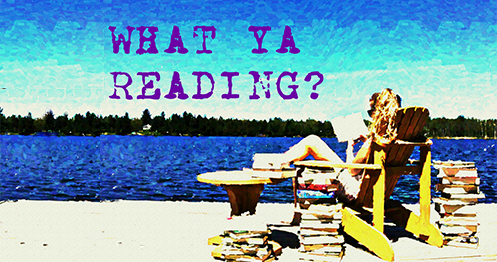 Or, in more specific terms, what do you think the next book-worthy happenings in your life will be? RYLIE: I heard a rumor that Kallan is going to be visiting the human realm soon. I’m nervous, because I love Adam, but part of me is drawn to Kallan. ANA: Folks, I believe that we have a teaser. I knew that this was going to be a great interview! A big thanks to Miss Crane and Miss Jager for making it happen.